Our doctors use the latest in advanced tools and equipment for detailed diagnosis, precise treatment planning and minimally invasive, comfortable treatment. Read below to learn more about our state-of-the-art technology. Our digital X-rays emit about 80 percent less radiation than conventional X-rays and produce highly detailed images that are available in seconds. Digital X-rays are clearer than film X-rays and can be magnified for close inspection of small areas. Panoramic X-rays create a precise, two-dimensional display of your entire mouth and clearly show your teeth and sinuses. They are a valuable tool for a comprehensive evaluation of your oral health. Our cone beam 3D scanner takes a rapid series of X-rays in a 360-degree circle around your head. These images are computer-processed into crisp 3D views of your teeth, jaws and surrounding structures. 3D images show features and minute details not available in any other type of X-ray. 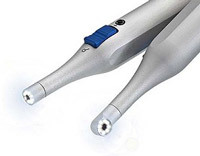 Our digital intraoral camera provides high-resolution views of the inside of your mouth. These images provide additional information for diagnostics and treatment planning, and they are used by our hygienists to show you details of your teeth as part of your cleaning appointment. 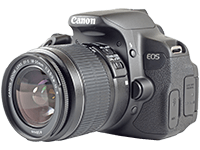 With our digital camera, the doctors take external photographs of your face, teeth and smile. 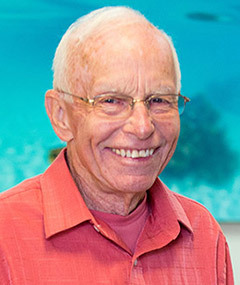 These photos are used as a diagnostic tool for smile evaluations and other treatment. 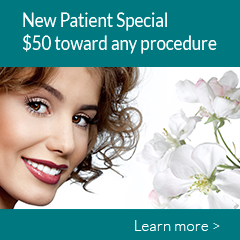 Dr. Davidson uses a gentle soft-tissue dental laser for minimally invasive removal of gum tissue. Because of the laser’s precision, surrounding tissues are not affected, healing is faster and there is little to no posttreatment swelling or discomfort. 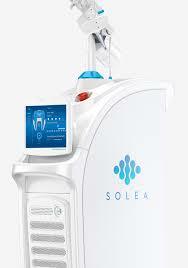 Our Solea® dental laser takes the place of a traditional dental drill during many of our procedures. It painlessly evaporates tooth enamel while emitting no sound or vibration, removing the need for anesthetic in most cases. This makes it ideal for use on children as well as adults. With our Planmeca CAD/CAM dental milling system, we can create and place porcelain veneers, crowns and bridges in only one visit. This digital technology removes the need for goopy impressions, temporary restorations and multiple appointments. 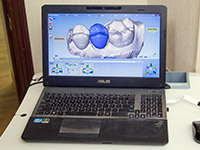 We use advanced digital impressions to create 3D models of your teeth, which are used in designing and fabricating your dental restorations. 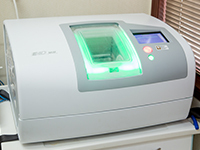 The scanned images are much more accurate than conventional impressions and are far more comfortable for patients. We use comfortable ultrasonic scalers to efficiently and gently remove accumulated bacterial plaque and calculus on your teeth. 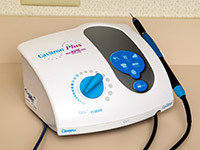 Ultrasonic scalers use high-frequency vibrations to break up bacterial deposits while at the same time killing disease-causing bacteria. These devices clean deeper than traditional scaling instruments yet are gentler on the teeth. 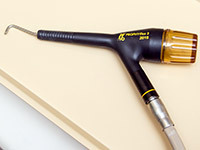 We use an advanced dental jet spray cleaning instrument for final cleaning and polishing of your teeth. The device shoots a high-pressure stream of sodium bicarbonate (baking soda) and other elements that removes stains from coffee, tobacco and other hard-to-remove materials. It also cleans in tiny areas that no other instruments can access. Our system has a special tip and cleaning powder that can clean around dental implants and on the root surfaces that are below the gum line. Our doctors use the Identafi oral cancer screening system to detect abnormal tissues in the mouth, including precancerous or cancerous growths. The Identafi device shines three different colors of light into the mouth to show tissue irregularities that are not visible otherwise. The “apex” of a tooth root is the point at the end of the root where the nerves meet the gum and bone tissues. Our doctors use a high-tech meter which locates this point. Thus, root canal treatment is accurate and does not miss any infection or go beyond the end of the root. 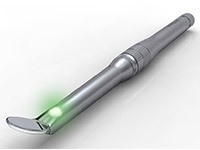 The DIAGNOdent is a pen-like probe that sends a safe, painless laser beam into the tooth to check its health. 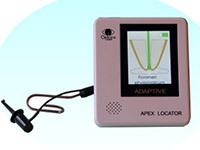 The device painlessly detects even the smallest levels of decay hiding under the tooth surface. This technology allows us to catch tooth decay at a very early stage so that it can be treated before much damage is done. 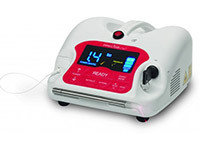 Our air abrasion unit works like a mini-sandblaster, quickly and precisely spraying away decay from your tooth. After a microstream of small particles strikes the damaged area of the tooth and removes the decay, the loose tooth particles are then suctioned away. Air abrasion generates no heat, sound, pressure or vibration.